A music event with perfect music performance, meaningful charity involvement, and music therapy illustration. 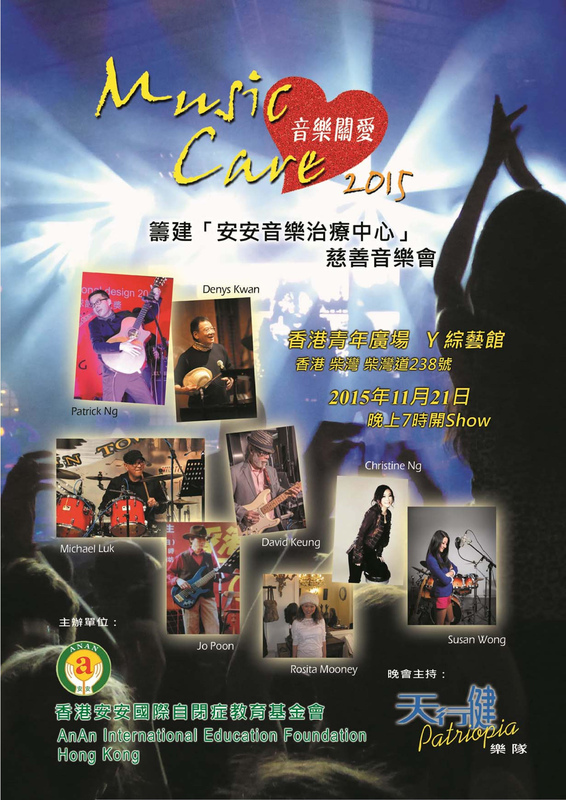 A number of successful elites from different professions in Hong Kong with the strong passion for music have converged and formed this unique group. A Hong Kong Government approved charitable organization devotes to serve the autistics and their families by rehabilitation, education and community advocacy work. Experienced and professional Music Therapist who is going to show you how music, a healing implement for centuries, advances rehabilitation and personal quality of life. Let’s come and join us on this unique and exquisite Saturday night! Please feel free to contact Ms. Mott Fong at 2596-0777 or mott@ananedu.org.hk for donation, tickets, or enquiries.